Have you ever thought about zodiac sign games that are perfect for you? According to astrologers, seers, and fortune tellers, you can always find your fate written in the stars. If you’re hoping to harness the power of the universe and make the most of a lucky streak at the casino, then look no further. 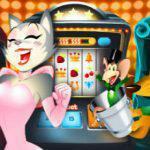 Register and play the best games today at CoolCat Online Casino! Continue reading to find out your zodiac sign games, and fulfill your destiny of winning a fortune! Capricorns are cold and calculated, and want every aspect of their lives to illustrate that. Blackjack is a great fit for any Capricorn. As a person who prefers not to leave your future in the hands of chance, learning a little blackjack strategy will help ensure that the house edge falls in your favor. If you’re a Capricorn, play a hand of blackjack, start counting the cards, and you’ll be rolling in dough in no time! Another high-minded air sign, an Aquarius will often lose sight of their surroundings in favor of entering an idealistic dreamland. That’s why slot games with mystical and exciting storylines, paired with realistic, video-game quality graphics will perfectly cater to any Aquarius. Take a few spins at a slot game like Orc Vs. Elf, and you just might forget yourself. But you won’t be able to forget all your winnings! Pisces are intuitive and creative, which make for a great gambler. But as a Pisces, you might also fall victim to your own strong emotions. That’s why live dealer games, like live poker or live blackjack, are a great way to get your fix without succumbing to gambler’s tilt. You can use your intuition to get a leg up on other players, and satiate your empathy needs with features like live chat. But if things don’t go your way, you don’t have to worry about gracefully backing out or hiding your tears. It’s a win-win situation – and you’re both of the winners! As the first sign in the zodiac, you are a go-getter and risk-taker. You love a challenge and thrive on competition, and you want everyone to know when you win. Texas Hold ‘Em is the perfect game for you, Aries, because you can have some gun-slingin’ fun – and no worries, you don’t have to play coy for too long. Play a round of Texas Hold ‘Em and you’ll be raking in those chips in no time! Taurus one of the toughest and most stubborn signs of the zodiac. Joker Poker is the perfect game for a Taurus, because video poker is played alone, which can prevent any tiffs caused by your hard-headedness. Joker Poker uses the joker card as a wild, meaning that there’s just a hint of surprise in this game. And as a zodiac sign that starts in the fifth month of the year, you’ll love the fact that Joker Poker provides you the exclusive capability of getting the hand, 5-of-a-kind! 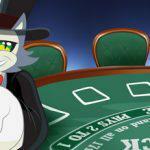 If you aren’t laughing now, you will be once you start playing Joker Poker! Gemini is an elusive air sign with two halves simultaneously competing and working together. Pai Gow Poker is the perfect game for any Gemini. You get to channel the mysterious powers from this game’s ancient Chinese roots while using your two-faced nature to fool your opponents. And nothing says two halves of a whole like this game, because you have to form not only one strong hand, but two. Play a game of Pai Gow Poker, and everyone’s bankroll will be at your mercy! In a world of intense urges and high-running emotions, sometimes it’s better to keep things simple. The game of Baccarat is perfect for anyone residing in Cancer, because the rules are simple and the outcome is based solely on luck. With femme fortune as your only opponent, Cancer, you won’t have to worry about hurt feelings – namely your own. Check out Baccarat and you can start living a classy, high-rolling, lifestyle, but without the drama! Leo is the epitome of a fire sign. As a Leo, you live for risks, thrills, and the public support of your friends. Craps is the perfect game for a Leo because you’re grabbing life by the dice and placing your big bankroll bets on the outcome. If things have been feeling a little boring lately, play a game of craps and reignite that fire sign! Whether it’s at a casino or in the comfort of your home, Virgo, you like to keep your social distance. Play a classic slot game or two and feel nostalgia for the fruit machine. 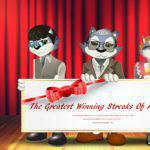 The best part is that online casinos offer a variety of the most popular classic slot games out there, so you can play to your heart’s content at CoolCat Casino without having to interact with another soul! But keep an eye on the clock, Virgo, because you may lose track of time in the midst of all that fun. As a Libra, you’ve got a lot of idealism in you, but you don’t want to spend time learning the nitty-gritty details of how to play casino games. That’s why online scratch cards are the best game for your sign. They’re easy to learn, and you can fulfill your need for immediate gratification, because you’ll almost always win something when playing. And your thrill-seeking side will love the fact that you can raise or lower your bet with every game. So, pick your favorite card theme, and start scratching! Scorpios are the most mysterious, unpredictable, and thrill-seeking sign of the zodiac. As a Scorpio, you like something that can keep up with your emotional ups and downs. Roulette is the perfect game for this zodiac sign, because the only rule is that it doesn’t have any rules. So, grab life by the stinger, and put down a risky bet. If that doesn’t give you the excitement you seek, then nothing will! Now that you’ve read about the perfect game to play for your zodiac sign, it’s time to start winning. If you’re not already a master and want to brush up on your skills before laying down the big bucks, it’s important to practice first. 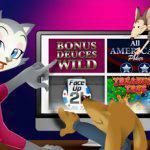 CoolCat Casino offers a free practice mode, where you can play an unlimited amount of games, all at no risk to you. 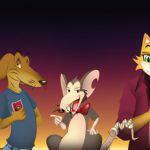 So, log on to CoolCat Casino and see what the stars having in store for you!